Callidium cedri, described by Paul M. Peyerimhoff from Algeria in 1917 [❖], is a rare Maghreb species developing in wood of dying and dead Cedrus atlantica. 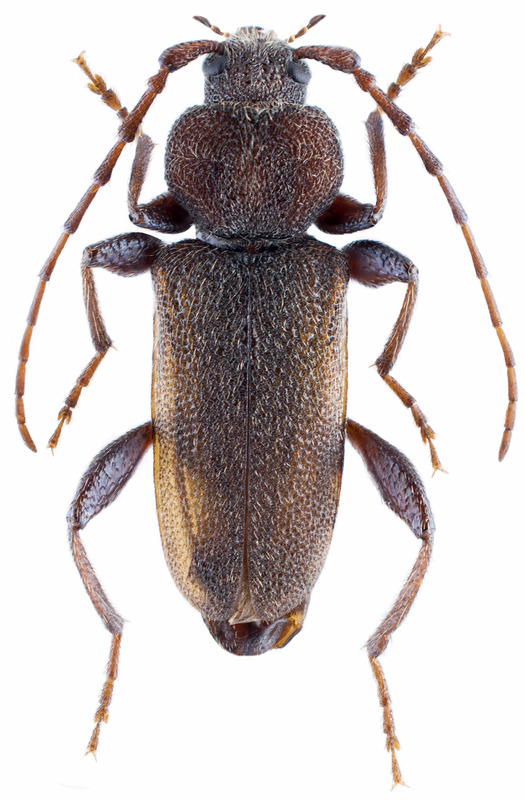 The depicted beetle was reared from dead Cedrus atlantica found in Col du Zad (Morroco) by our friend Pavel Jelínek. Nouveaux Coléoptères du Nord africain (Vingt-sixième note) : Faune du Cèdre et du Sapin de Numidie. Coléoptères Cérambycides de l'Afrique du Nord.